U. S. Citizenship Day (Día de la Ciudadanía Americana) is a Puerto Rican observance held on March 2. It commemorates the anniversary of the Jones—Shafroth Act, which granted Puerto Ricans U. S. citizenship. The Commonwealth of Puerto Rico (Estado Libre Asociado de Puerto Rico) is an unincorporated territory of the United States. This means that it is controlled by the U. S. government, but is not part of the United States. From 1493 to 1898, the island of Puerto Rico was a Spanish colony. It was invaded by the United States during the Spanish—American war. In 1899, Spain ceded Puerto Rico under the Treaty of Paris. On March 2, 1917, Puerto Ricans born on or after April 25, 1898 were granted U. S. citizenship without rescinding their Puerto Rican citizenship. 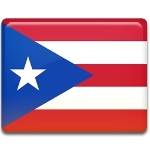 Today, Puerto Ricans are by law natural-born citizens of the United States. However, they don’t have all constitutional rights because the U. S. constitution applies only partially in unincorporated territories. U. S. Citizenship Day is an official observance in Puerto Rico. It is not a public holiday, but government offices and banks are closed for the day on the occasion. The day is marked with various events organized by the Government of Puerto Rico.